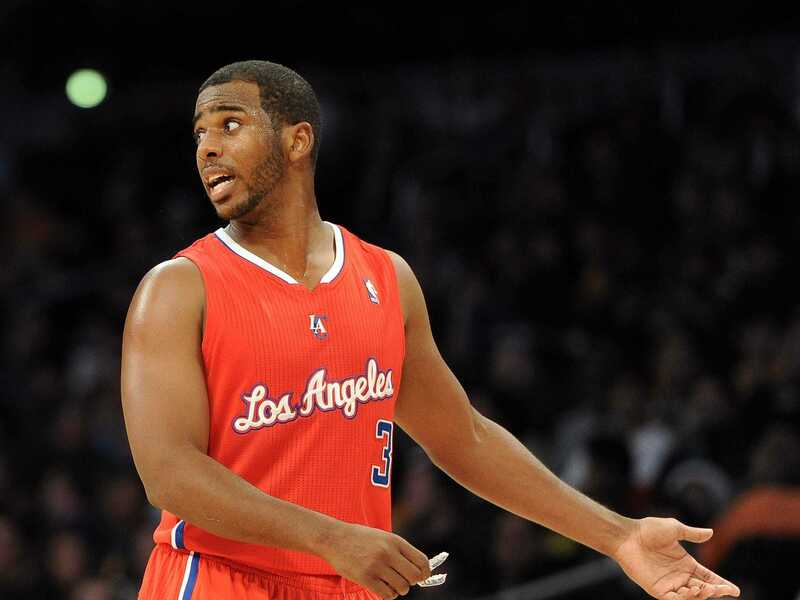 In one of the strangest, most controversial decisions in recent league history, NBA commissioner David Stern vetoed a trade that would have sent Chris Paul to the Los Angeles Lakers in early December of 2011. A week later the NBA accepted a trade that sent Paul to the Los Angeles Clippers, altering the trajectories of three franchises in the process. At the time the league owned the New Orleans Hornets, Paul’s team, after buying them from George Shinn in 2010. While the league owned the team, they let general manager Dell Demps make the player-personnel decisions … until he tried to trade Paul to the Lakers. According to Howard Beck of the New York Times, Stern vetoed the trade at the behest of other owners, including Dan Gilbert of the Cavs, who thought the deal was too good for the Lakers. The NBA’s decision was roundly criticised at the time, and it looks even worse now. Three years later, this has been a terrible trade for the Hornets. Kaman now plays for Portland and Aminu plays for Dallas. Austin Rivers had one of the worst rookie years ever, and has yet to average more than eight points in a season. Gordon, the centrepiece of the trade, has been undone by a succession of injuries. This year he’s off to a horrific start. He’s averaging nine points per game and shooting 23% from three-point range — a far cry from the 22.3 points per game and 36% three-point shooting numbers he put up in his final season in Los Angeles. On a New Orleans team that has playoff aspirations, he has been more of a detriment than an asset. He’s also on a crippling contract that pays him $US15 million in 2015-16. The NBA couldn’t have known the trade would work out like this back in 2011. Eric Gordon was only 22 years old and coming off a season where he scored 22.3 points per game. There was a chance he’d become a perennial All-Star shooting guard. Three years later, with the power of hindsight, it’s clear the Lakers’ offer that the NBA vetoed was better. Goran Dragic is one of the best point guards in the NBA, and he’s about to get a max contract next summer. Martin and Scola are also better than any role player New Orleans got from the Clippers. The Hornets (now Pelicans) ultimately lucked out, winning the 2012 NBA Draft lottery and taking Anthony Davis — who looks like the third-best player in the NBA early in this season. But that trade was an absolute fiasco, and New Orleans would have been in a much better position right now if the league never intervened in the first place. The NBA hired Demps to be general manager, and had no business overruling him on a basketball decision. It was always going to go down as one of Stern and the league’s greatest failures, especially now that the NBA so obviously took the wrong deal.